The Public Health Minor at Auburn University’s College of Veterinary Medicine provides students the chance to explore a wide range of professional opportunities in the public health field, learning the important role veterinarians play in the world’s healthcare, about at-risk populations and how human and animal healthcare are connected. “For any kind of health field, a public health minor can help strengthen resumes, applications for positions, and broaden a student’s opportunities,” said Dr. Jim Wright, a professor in the Department of Pathobiology at the college, and co-director of the Public Health Minor program. The professional field of public health covers a very diverse workforce – from policy and health care, to clean water and clean air, and infectious disease and the environment. 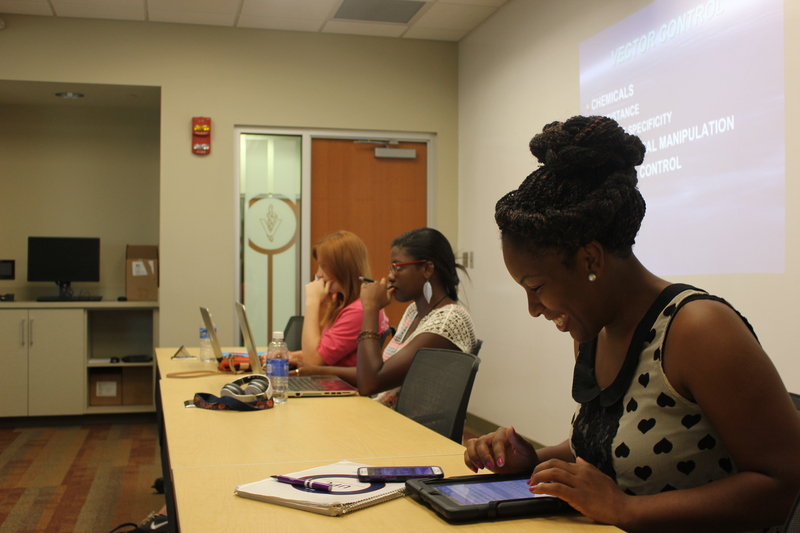 As diverse as the field, students also represent diverse interests and majors. To date, the program has drawn students from nursing, pre-med, microbiology, nutrition, exercise science, kinesiology, health administration and hunger studies. The course consists of three core classes: Introduction to Public Health, Introduction to Epidemiology and Global and Comparative Health Systems. An elective course relative to public health is required, as well as a semester-long practicum in which students participate in the development or administration of a public health program on campus, in the community, or beyond. These courses focus on not only the micro-details of public health, such how doctor’s visits are administered, but on population-sized management, the prevention of the spread of disease, and the various health systems that manage public health. 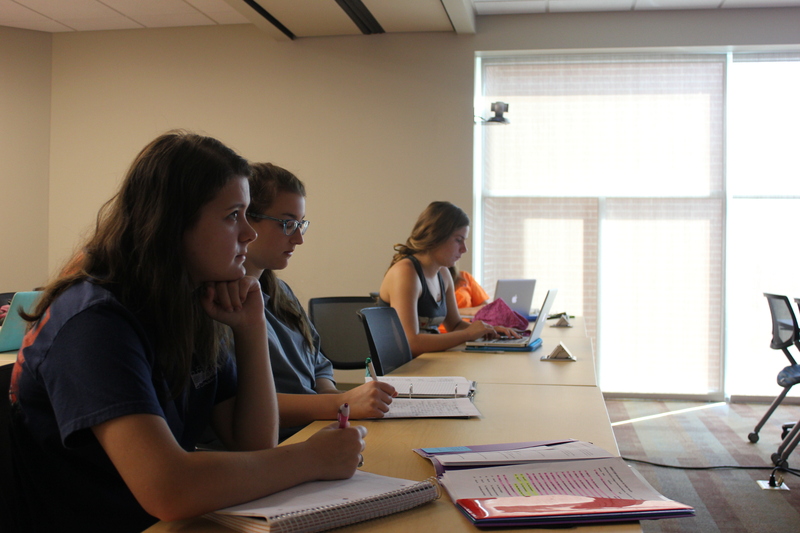 Class sizes vary but typically consist of 10 to 14 students per course. Dr. Wright said that as the program grows, the ideal attendance rate will be 15 to 20 students. The Public Health Minor core courses are only available in the summer semester, and can be taken in any order the students choose. The courses are open to any undergraduate sophomore, junior or senior students who are in good academic standing. While the minor course program is taught at the College of Veterinary Medicine, the classes focus on public health, and the students who attend from main campus represent a wide range of majors and interests in health. Dr. Wright said that this is intentional, in order to help showcase Auburn and the College’s commitment to One Health; that medical developments, whether for humans or animals, benefit all life. Students in the course praised the applicable knowledge they gained from their classes, and said the information gained is practical and can be applied in both their major fields of study and their internships. The program began in 2009, developed by Dr. Wright; Dr. Frank “Skip” Bartol, associate dean for Research and Graduate Studies at the college, and Dr. Ken Nausbaum, professor emeritus in pathobiology. It is currently directed through the Office of Research and Graduate Studies at the college, and co-directed by Dr. James Wright and Dr. Stephanie Ostrowski. To learn more about the public health minor and procedures to enroll, click here.